Expert putting is an art form that requires fine sensory skills. 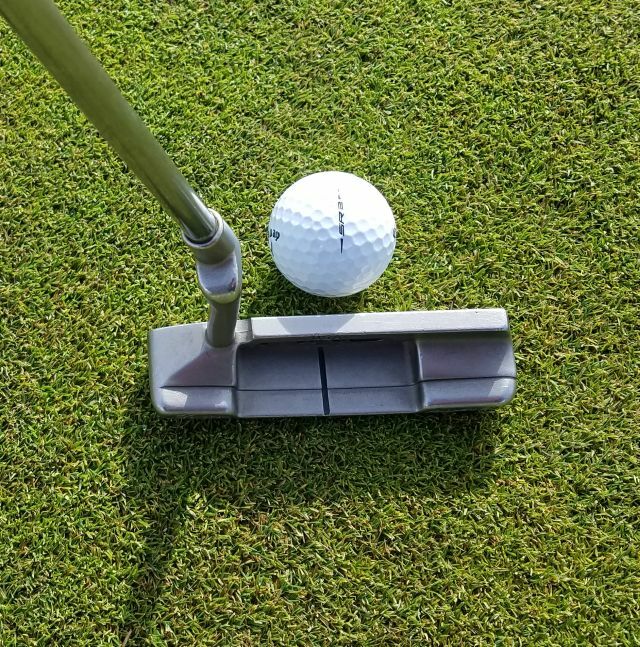 When I teach a beginner how to putt, I start with the mechanical basics. I cite seven principles for good putting. I find it extremely important to have the student in the proper position so they can execute a well struck putt and have the ball roll correctly. When their fundamentals are solid, it is much easier for them to develop a consistent stroke and that allows me to then concentrate on the vital sensory visual skills necessary to be an exceptional putter. I am going to center on one fundamental that is overlooked, but is present in nearly every good putter the PGA or LPGA Tour. My seven most important principles are: eyes directly over the ball, hands directly under the shoulders, light grip with shaft more in the palms and hands in a neutral position, shoulders square to intended line, use an arm and shoulder motion, back of left hand straight and firm through striking the ball and at least 1 to 2 inches past the ball, and that putter should move on its natural arc. 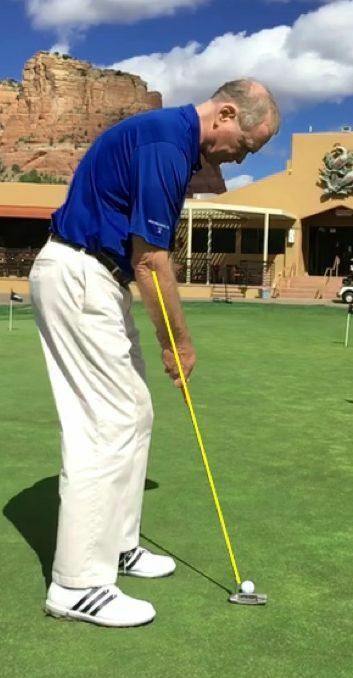 What I have witnessed in many poor putters is that they have their hands inside of their shoulders (towards their bodies) and have an unnatural angle formed from their forearms to the shaft of the putter. Because of this angle, the only way to make a proper stroke is to manipulate the hands to create the arc. It can be done, but is very difficult to be consistent. When setup correctly the hands will be directly under the shoulders and the forearms and shaft of the club will form a straight line. With the shoulders square to the intended line, the rocking of the shoulders will create a consistent natural arc without any manipulation of the hands. NASA scientist and putting Guru, Dave Pelz, built a robot many years ago with exactly those specifications that produced a true roll each time. The best putters use the same principles. Check your shoulder alignment. Make sure your hands hang directly under your shoulders and that your forearms and shaft form a straight line. The best putters in the world use this method. After you establish a more consistent stroke, then work on direction and distance control. Those elements are what will make you a really good putter and not just a person with a nice stroke.